Elpidia Carrillo, William Fichtner and Sydeny Tamiia Poitier at the California premiere of "Nine Lives" during the Los Angeles Film Festival. Kathy Baker, Elpidia Carrillo and William Fichtner at the California premiere of "Nine Lives" during the Los Angeles Film Festival. 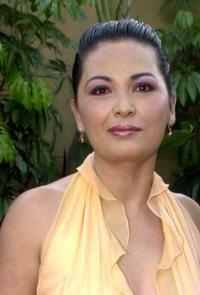 Elpidia Carrillo at the premiere of "Bread and Roses." Elpidia Carrillo and George Lopez at the premiere of "Bread and Roses." Elpidia Carrillo, George Lopez and Pilar Padilla at the Los Angeles premiere of "Bread and Roses." Elpidia Carrillo and Pilar Padilla at the Los Angeles premiere of "Bread and Roses." 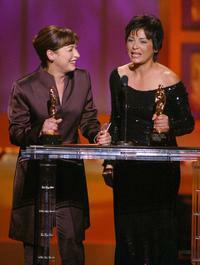 Elizabeth Pena and Elpidia Carrillo at the 2002 ALMA Awards.